Non-profit repair facilities where people living in precarious situations can take care of their own vehicle or have it repaired at a lesser cost. These garages are financed through annual membership subscriptions and state subsidies. Some garages are a mix of the two types, like Le Garage Moderne. 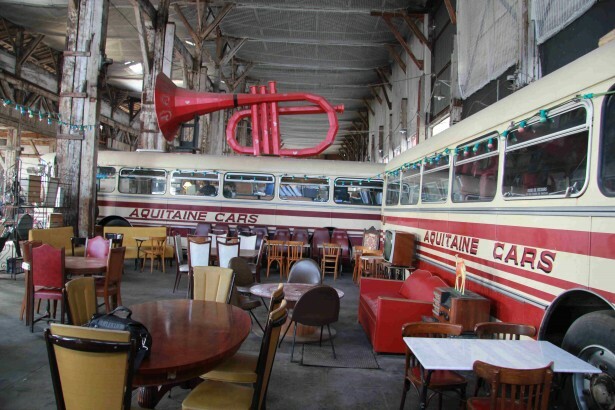 Le Garage moderne is also an exhibition space and party venue, an associative bar and a mechanic school. Le Garage Moderne has 27 employees (administration and mechanics), 10 volunteers and 400 members/mechanics apprentices. If the project initiators do not explicitly refer to design as such, the do-it-yourself spirit of their approach is highly valued by designers who want to promote user’s autonomy (see Enzo Mari’s utoprogettazione project). For David Gauntlett (Making is connecting: the social meaning of creativity, from DIY and knitting to You tube and Web 2.0, polity Press, 2011), making things create connections not only in the creative process but also among people who can relate around it. For him, DIY goes along with DIWO (Do it with others). Through the act of creation and a participative approach, individuals can find a place in society which value diversity and contribution to the common good.